Build camaraderie, get closer to nature, impress your mates with your aerobic prowess, or just relax. Whatever your reason for thinking about a kayak in the Bay of Islands, we’ll answer your burning questions here. Find out how to hire gear for a short day trip (or even just an hour), and where to book an all-day or night kayaking adventure, perhaps even mixing it up with fishing, waterfall gazing or dolphin spotting. Plus we remind you how to stay safe while you’re paddling. If you’ve got access to a kayak and the local beach is putting on a predictably beautiful show, get in, push off, and enjoy a paddle. You can spot fish and marine life in the clear water, and often pop from bay to bay this way. But if you want to make a memorable event out of your holiday and really get out there and explore the nooks and crannies of the islands or wider coast, here are some postcard-worthy gems. This is an easy, popular paddle across the harbour. Be careful of boat traffic! Once in the quaint, historic town of Russell, here’s what you can do for the day. Search our accommodation listings for places to stay – there are plenty of options. There are over 140 Islands in the Bay but this is the main group close to the mainland offering spectacular beaches and inlets. They also offer world-class snorkelling. They’re all decent day trips. You can of course grab ferries or water taxis and hire gear on some of these Islands so you don’t have to paddle across the harbour, but many are nature reserves and won’t have kayaking hire facilities (or much else! ), so paddling over is your only option. They all show times that launch from recommended locations on the mainland, where you can park of get kayaks dropped off to (some companies will offer this service). These estimated times are based on average fitness and little wind, and are one way only. Always keep safety in mind as you are paddling out to the Islands across open water as weather can change instantly. Allow 2.5 hours paddle launching from Paihia, one way. These lagoons are said to be the most photographed spot in the entire Bay. The island is completely unspoiled (there are no public facilities so you’ll need to take your rubbish). There are a number of walks you can enjoy, the most notable being a 15-minute uphill walk from the western end of Twin Lagoons Bay to a lookout. The panoramic view is breathtaking. Enjoy an underwater snorkel set in the calm waters of the natural lagoon if you are happy to go walking – it’s easy to find. There’s no campground here, only a handful of private luxury homes for hire. BYO helicopter! If you want cheaper options, Russell is your best bet. 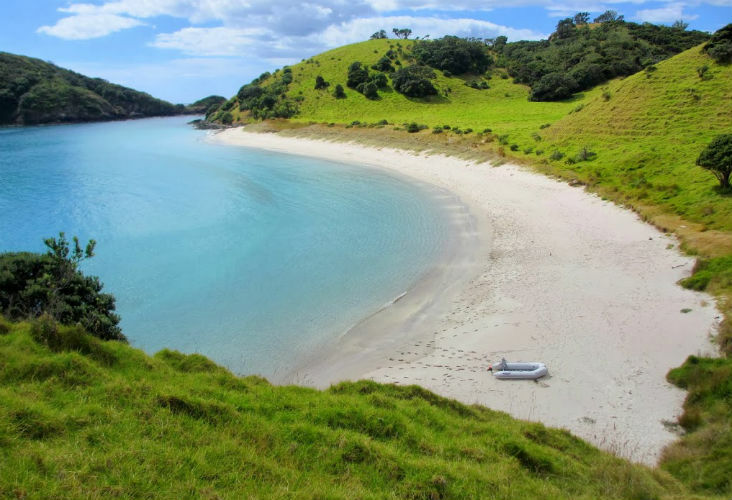 This stunning island has four lovely beaches and is an easy walking track around the island – we LOVE Army Bay though if you’re going to choose one. A historic track runs around the island and you can access the archaeological sites from here. Enjoy the 360º views from Hikurangi pa.
There’s no campground here, only holiday homes, some of which are affordable – others very high end. Or you can hire a kayak on the Island if you get the ferry straight here. 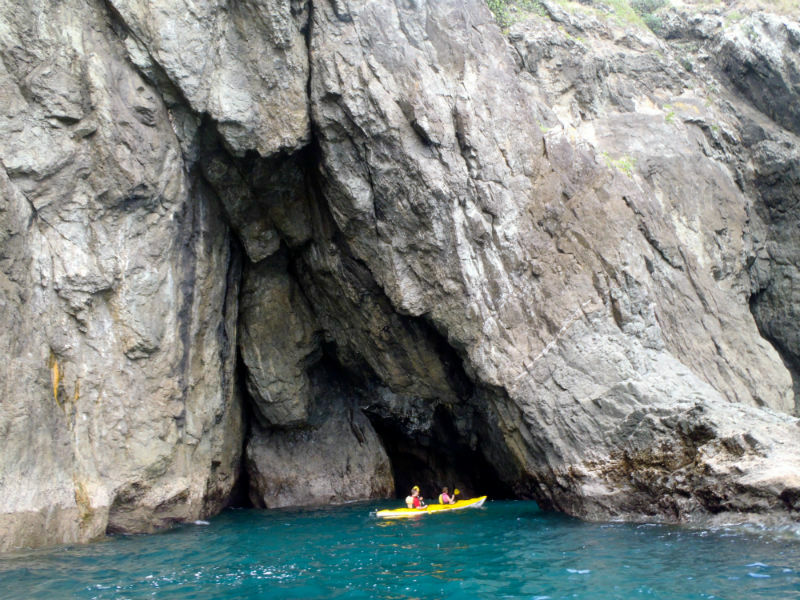 The caves are popular to kayak in and around along the Island’s coast, and beaches are just breathtaking. There’s so much to do on this Island to add on to your kayaking trip if you want to step onto dry land. You can’t camp or stay on the Island as it’s a nature reserve. Oke Bay is rated one of the best beaches in the Bay, and is accessible by the world-famous Cape Brett Walkway or, of course, the water. (There are no places to park and you would have to carry a kayak down a steep hill to get the beach, hence launching from Rawhiti). Chances are you’ll have the beach to yourself. Step out of the kayak for a walk up the hill – you’ll get breathtaking views. There are lots of areas in the Kerikeri inlet to explore, it really depends on how much time you have. Read our blog on Kerikeri. From Waipapa Landing boat ramp, we recommend a gentle paddle around to the Stone Store in about an hour. You could always stop off and have lunch at the Pear Tree café as well. 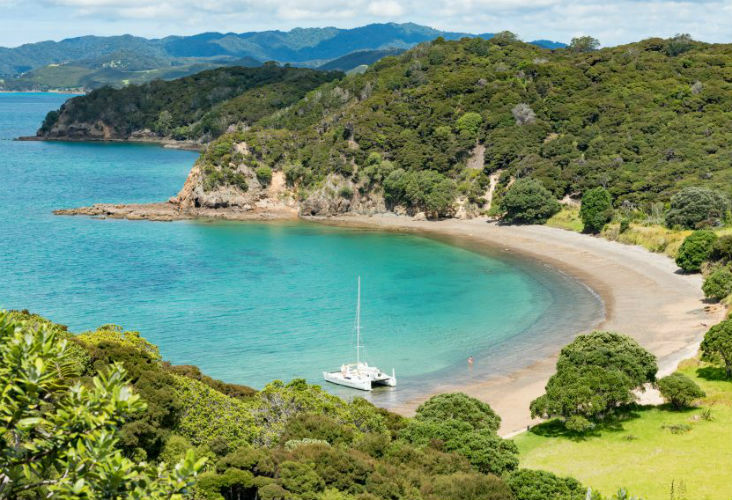 Launching from Waitangi is a great option, especially as you want to explore the historically significant area of Waitangi first. 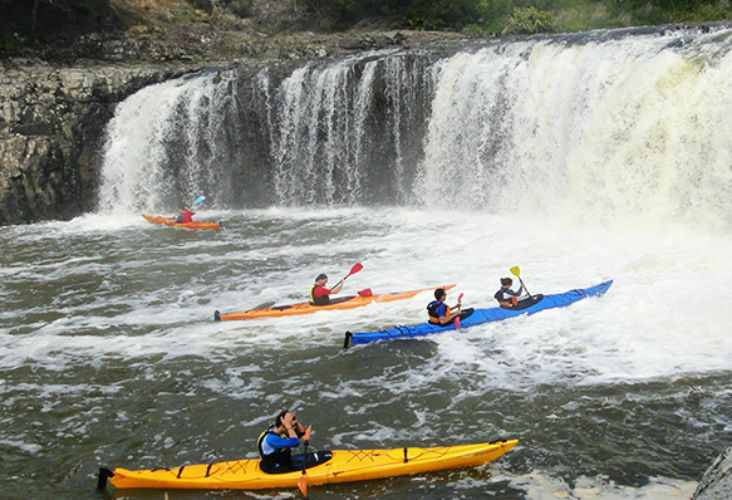 Paddle up the Waitangi River to the base of the spectacular horseshoe-shaped Haruru Falls, which will take about an hour. If it’s been raining you could end up getting very wet from the waterfall’s deluge – just increasing the fun! 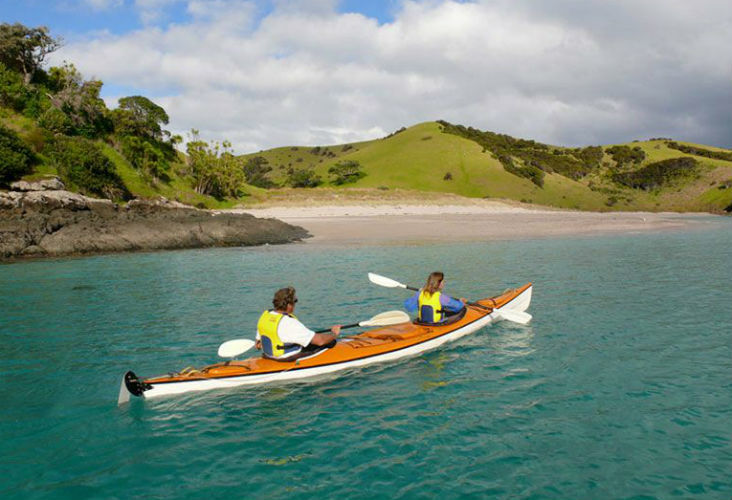 Then paddle through the sheltered waters of the Waitangi Estuary, exploring the mangroves. 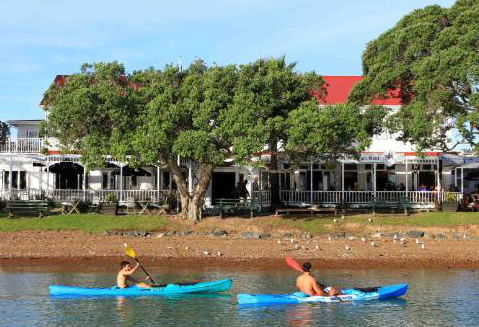 Search our listings for accommodation in Waitangi, or near Haruru Falls. If you’re up for DIY here are the top hire places. There are a lot of different products on offer so check their websites for prices. If you’re not sure, just chat to them about your goals. They’ll have advice on where to go based on how much time you have, and usually supply maps and additional gear for things like snorkelling. We recommend never kayaking alone unless you’re staying very close to the shore, and are a confident paddler and swimmer. Check out the full list of Kayaking hire and tour providers here. This great crew have heaps of gear hire options. They are actually based out of town – so once you’ve emailed or called them they arrange to meet you to drop off kayak rental gear. They also have snorkelling and camping gear. This hire company is extremely easy to find in central Paihia (right on the beach opposite Kings Road in central Paihia), and has been an institution up here for over 20 years. 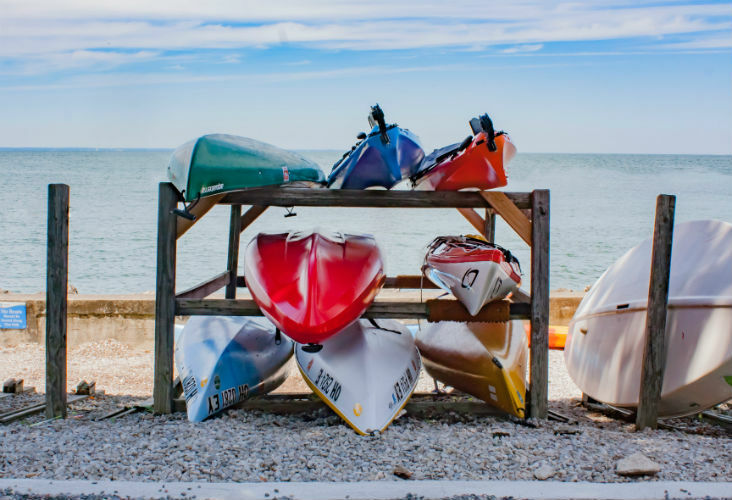 As well as kayak hire, they’ll pass on in-depth knowledge of what gear will suit you best and help you plan a day trip, or overnight camping experience. 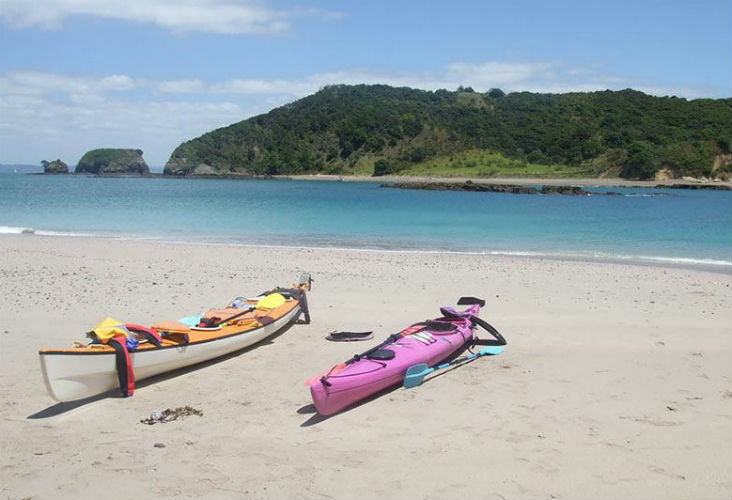 This crew are situated on Te Karuwha Parade in Paihia, and they have a wide range of single and double sea kayaks as well as single and double sit-on-top kayaks. A tour guide who knows the area who will entertain you with history and anecdotes. Provide that sense of safety. They’ll also plan the paddle around weather forecasts, wind and tides for maximum fun and ease, so you don’t have to. It can be fun to meet fellow adventure seekers, often from around the globe. Have everything done for you, and not have to worry about equipment and things like food. We mentioned these two crews above for gear hire, but they are also both the most popular and well-reviewed outfits offering group tours, usually of around 8 people – a nice number. They are also the only companies we could find offering guided day trips to the outer islands (to our fav spots listed above). Their group tours to Haruru Falls are popular, and they can both put together a private, tailored tour if you’ve got a crew together. Kayak fishing is obviously more affordable and environmentally friendly compared to boats. And as there’s no noise they don’t scare easily spooked fish. A lot of the kayak hire places we have listed have some special fishing kayaks, and fishing gear. Just ask them. If you would prefer to do a guided tour, try asking at the Group Tours listed on this post. Although ‘kayak fishing’ is not a standard package on their websites, they will likely be able to tailor something for you. 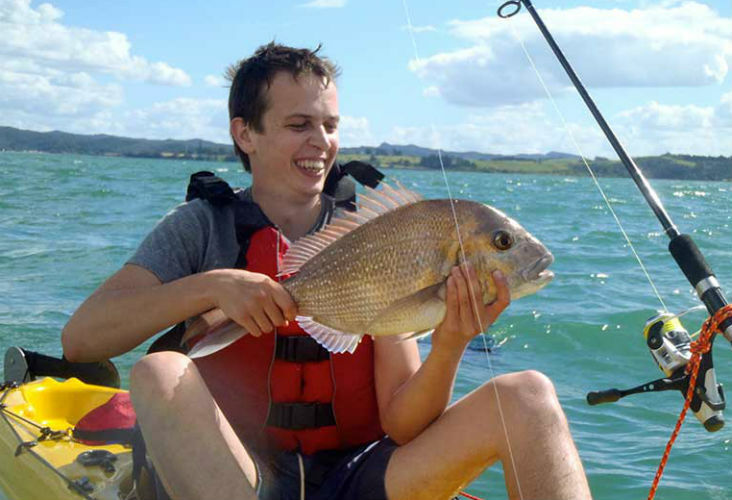 And if you’re keen to nail the catch of a lifetime in the Bay, read more on our blog on fishing. Picture the setting sun, a rising moon, jumping fish, iconic native birdcalls and a blanket of stars. Apparently on darker nights your kayak and paddles can even glow an iridescent green from millions of tiny “Sea Glow Worms”, a bioluminescence that is activated from movement. Evening and nighttime kayaking really can offer a new perspective. If you’re hiring gear from one of our recommended providers or doing a local tour, they will talk you through crucial safety information. Make sure to listen! Always tell someone where you are heading, and never kayak too far alone!!! Many kayak trips involve paddling out into quite open sea to reach some of the outer islands. There’s safety in numbers – we wouldn’t recommend doing a trip alone, even if you’re experienced. Overdue action time – who to contact if you’re away longer than you planned (Police or the Coastguard) and what time that should happen. If possible, take a cell phone in a plastic bag. During daylight, you’ll need to increase your visibility on the water. The Bay of Islands can have busy waterways; so larger vessels need to be able to see you. Choose bright colours that contrast with the sea for your kayak, personal flotation device, clothing and hat. Display an orange or yellow ‘chopper’ guard flag on the stern (back) of your kayak. At night you are required by law to have an all-round white light or a bright torch which must be shown in plenty of time to prevent a collision (wearing a head torch will allow your arms to be free to paddle). The larger the kayak, the more steady it will be on the water. But there’s always a small chance that you could capsize, even if you’re experienced. The first rule is don’t panic, and the second rule is grab onto your kayak and stay there until you catch your breath. Most kayaks have buoyancy fitted so it can be re-boarded. 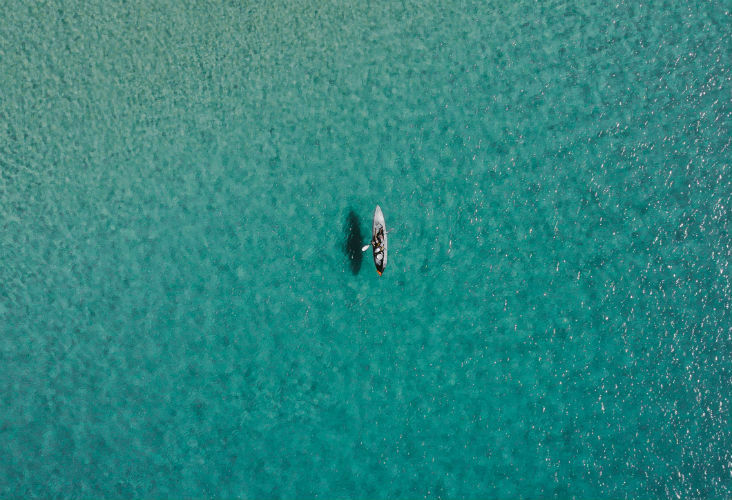 If you’re not strong enough to get back into your kayak from the water, you probably shouldn’t be paddling out too far from shore to be honest! If you do capsize and cannot get back into your kayak, do not swim for the shore. Lifejackets are essential for all recreational activities on the water, including kayaking. Even if you’re a strong swimmer, and are not going that far out, keep in mind that most drownings in boating accidents involve craft under 6 metres. An important rule to note is that SIZE MATTERS! It’s essential to have a lifejacket that’s fitted to your shape, weight, and activity goals. If you’re hiring a kayak from a vender they should have a large supply and fit you with all the right gear. If you’re borrowing one – check guidelines on the Maritime NZ website. Taking a minute to read this stuff, it could save you while you’re out on the open water. It’s simply NOT worth the risk. You’d think this would go without saying, but people seem to take risks when they’re on ‘vacation time’, chilling and partying with friends at the beach. Things can change quickly on the water, even the shallows. You need to be alert and aware of what’s going on at all times while in a kayak, and your reactions need to be sharp in case you fall or waves hit. Take it with you, as well as sunglasses and a good hat. Even if you’re not swimming you will sweat sunscreen off while paddling. 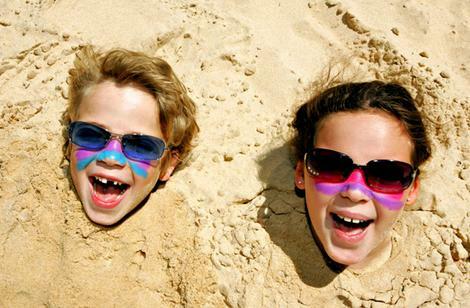 The NZ sun is some of the harshest in the world, especially in summer. The beaches in Paihia directly face (or are open to) the northeast, which is essentially the Pacific Ocean. So look out for sudden significant swells that can start quite quickly in this area. It’s not exactly surf weather, but will bring a little choppiness. If you’re fit and can kayak in light waves, then that’s great. 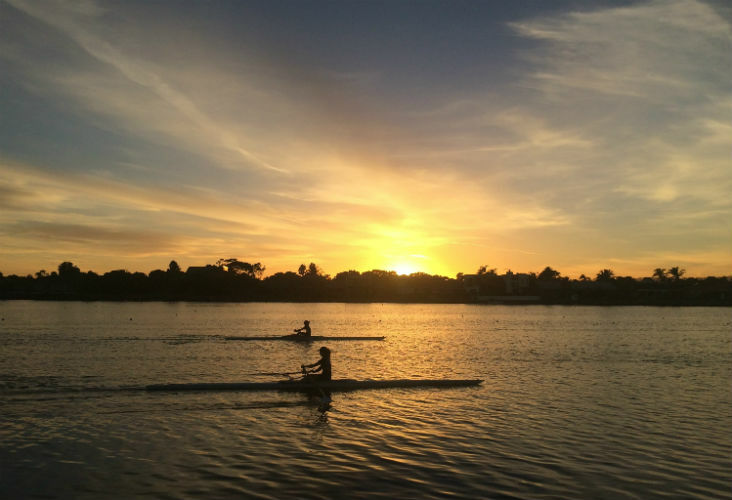 But most people prefer gentle, flat water to push off in, so you’ll need to put some thought into where you launch based on what the weather is up to. 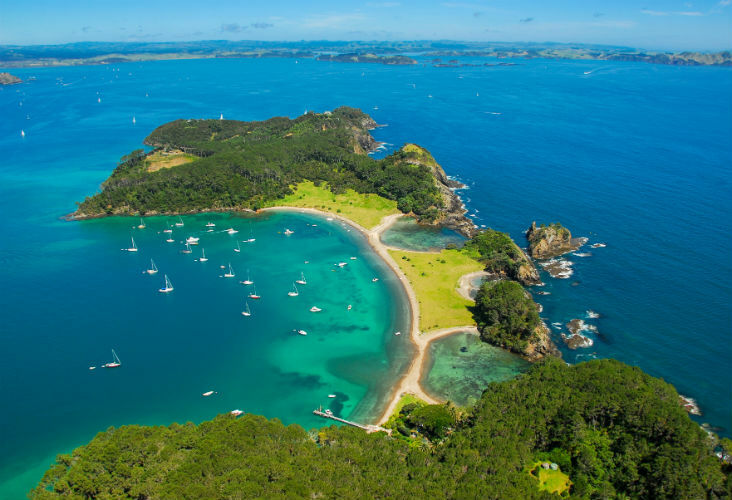 There are heaps of options close by of small inlets facing the other direction near Paihia. Always check the Met Service marine forecast for wind, tide and swell conditions.